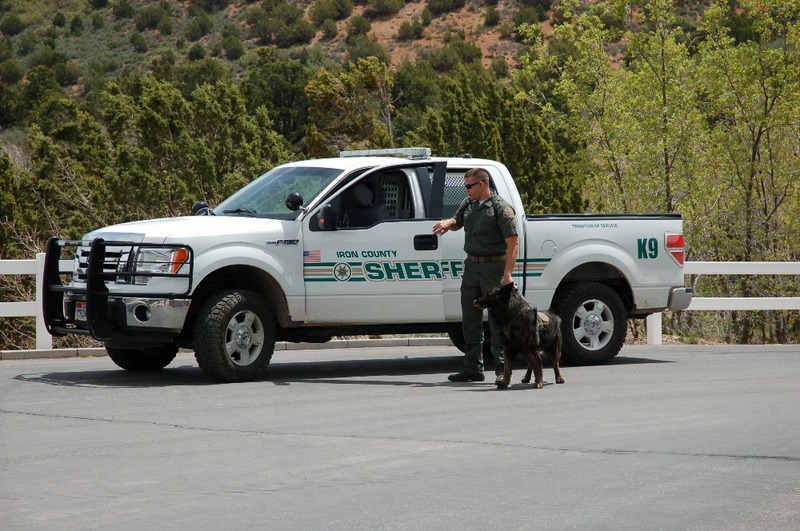 We are Vesting America's Police K-9's, and we are based out of Washington County, Utah. The purpose of our group is to raise money to buy bullet proof & stab resistant vests for Police K-9's in need throughout Utah, and other areas of the country. The vests, manufactured by Bullet Blocker of Boston, MA, are the lightest on the market at only 2-1/2 pounds. They are military grade, made of Kevlar, and are rated level IIIa (can stop up to a .44 magnum point blank, and up to a 4" blade). Our providers at TREAD Armament & Weaponry can get these vests for $800. 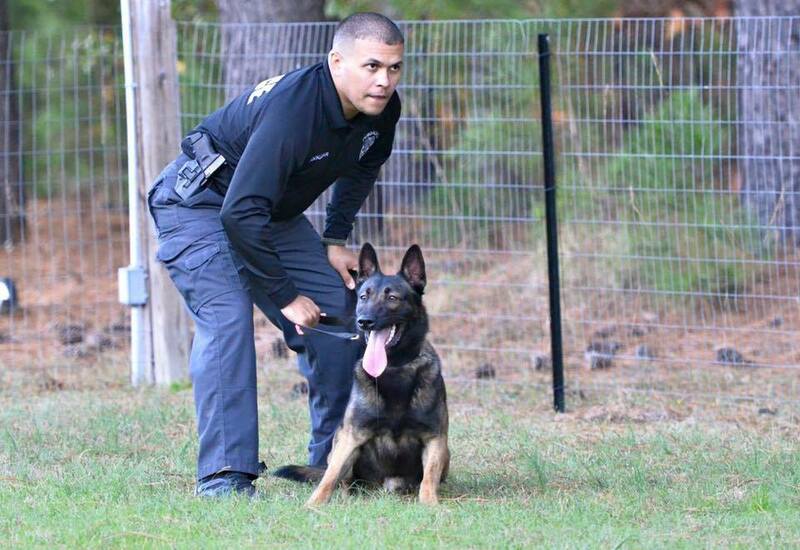 We will no longer be accepting donations for K-9 Payne or K-9 Zeus from North Carolina!! 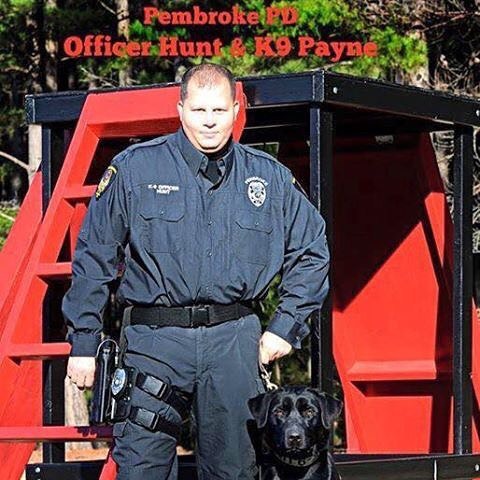 We are currently at $21,840; the next $1600 raised will be used to buy our lightweight, flexible bullet proof & stab resistant vests for K-9's Payne & Zeus of the Pembroke Police Department in North Carolina. K-9 Payne was shot 7 times this morning (Saturday, November 19, 2016); he is currently recovering with his family by his side. Let's get both of these brave boys protected! We have some EXCELLENT NEWS to share!! WE OFFICIALLY HAVE OUR 501(c)3 STATUS NOW!! We are officially a non-profit charity! Our EIN # is 47-4812520, and we will be found in the 501(c)(3) listings by the end of the month. Your donations are now fully tax deductible! We still have 9 Police K-9's from around the country on our waiting list, hoping to get one of these 2-1/2 pound, level NIJ IIIa, flexible (designed to move with the dog) bullet proof & stab resistant vests! 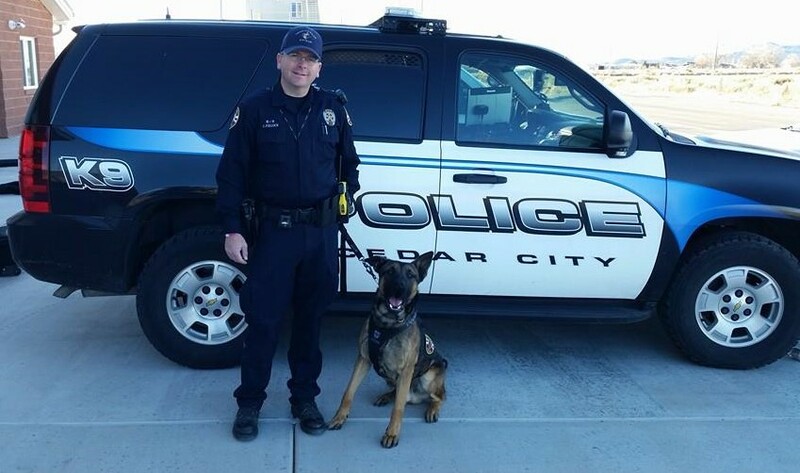 Our manufacturer, Bullet Blocker of Boston, MA, donated one of their 2-1/2 pound, level NIJ IIIA (can stop up to a .44 magnum, and up to a 4" blade) to K-9 Officer Loki of the Las Vegas Metropolitan Police Department in Nevada on April 21, 2015. K-9 Loki's handler, Sgt Joshua Bitsko, put Loki through the obstacle course to show that our lightweight, thin, flexible, custom fit vests will not weigh the dog down, nor will it restrict their movements. Our providers at TREAD Armament & Weaponry can get these vests for our group at their cost: $800. What if I want to buy Tanks vest for him regardless of the amount of likes he gets, how would I go about doing that? Dan Nelson ~ Thank you SO much for that very generous offer! Please call my partner, Nick Whitney, at 1-435-619-9700 or 1-615-339-3721. He can make sure your donation gets set aside in a special account only for Tank. (Again, Thank You)!! Looking for a Police K9 organization to do a fundraiser for and was interested to know the following: Does your program support K9 vests all over the country or mainly in Utah? Do you know of a Georgia or California vesting program? How does your group select which location will get the next vest? How would I go about getting our dog a vest from Martinez Pd, In California ? I just made a donation, but my comment didn't show up. I want to make sure the funds are credited to my grand-puppy's donations! 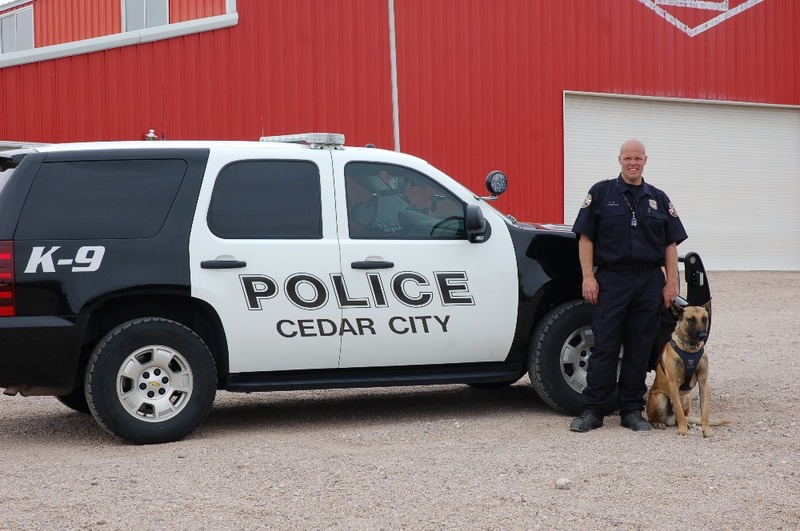 It should read: For K-9 Chloe of Wyoming - Stay safe Chloe girl! Hi, Dianne Branson ~ Thanks for your inquiry about getting a vest for your local Police K-9! You can have the K-9 handler call our partners at TREAD Armament & Weaponry at 1-435-619-9700, and request that the dog be put on our waiting list. Or, to help the dog get the vest much faster, you could help raise some money by following the tips we put in this post (these are the exact methods that our group uses to raise money): https://www.facebook.com/VestAPoliceK9/posts/627711580663161 --- After you raise $750, you can specify that it be used to benefit that dog from your local department. Good luck, and don't hesitate to call us if you have any questions! Sarah Brookshire ~ at this point, we are primarily going to be concentrating on the southwest United States; we will attempt to fulfill some requests from Police K9 handlers from other areas of the country. 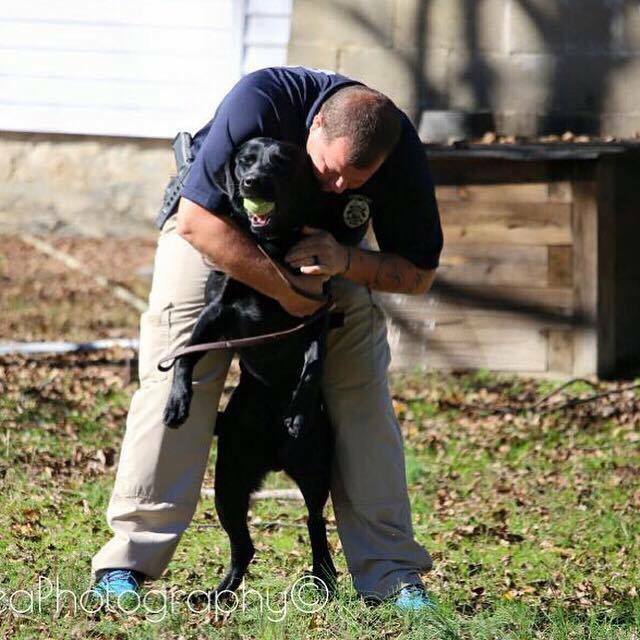 Andrew Predmore ~ I know there is a Vest Ohio K-9's group in your area. Both of our groups do similar work ~ raising money to put vests on Police K-9's. I think the main difference is who we buy from...as best as I'm aware, they use Elite K-9, where as we use Bullet Blocker of Boston, MA. Please go to Elite K-9's site to check out their dog vests , and also call my partner at TREAD Armament & Weaponry (1-435-619-9700 or 1-615-339-3721) to learn about the vests that we offer. Then you can make a more informed decision about which group you'd like to help you. We'd love to have you on our team, but again, I know there is a Vest Ohio K-9's group. After checking out both vests, then you can decide better what works best for you. I hope that helps you! 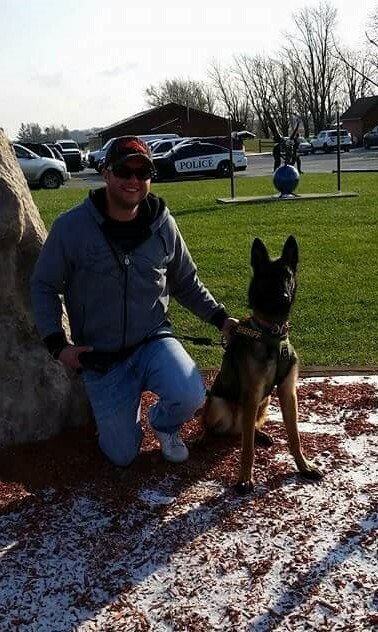 This donation is for a fully funded vest for K9 Officer Ricco with the Greenfield, Ohio PD. Thanks for all you do.